There’s a new way in town…Real Estate by Owner. 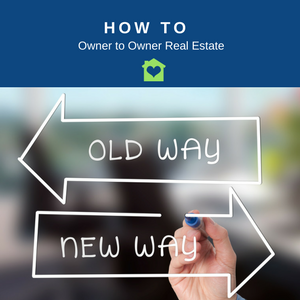 Home » Innovation in Real Estate » There’s a new way in town…Real Estate by Owner. Selling or Buying a Home Privately? Try Real Estate by Owner. Real estate by owner is being fueled by online opportunities to buying and selling a home. Today savvy Buyers are able to contact homeowners in sought-after neighbourhoods online, advertise what and where they’re looking, so Owners can contact them privately. I like to think back to the way my parents bought their first and only forever home on farmland- turned suburban development, surrounded by tumbleweed and monarch butterflies. The days of door-to-door vacuum cleaner salesmen are long gone and I believe, so too, will the traditional ways of buying and selling real estate. I read the Globe and Mails article by Rob Magazine’s, “It’s a mad, mad, mad mad market”, and had nostalgic Norman Rockwell-like thoughts about the old way we did it. My parents didn’t have any of the public information buyers and sellers have access to today including property values, sold history, or even at the most basic level, a list of all the houses for sale in a neighbourhood. The real estate agent was the keeper, and my mom and dad sat in his office, relying on his weeks of hard work, watching him banging on the Xerox machine to spit out copies of typewriter-generated listings. Technology is letting us manage real estate by owner now from buying a home privately, renting, and new opportunities for selling online. An agent’s role has changed, as technology has given everyone access to the same information and innovation is replacing old-time ways of selling real estate. Yet, new technology has its downside. With everyone having the same data, all of us have to turn it up a notch to buy the home they want to buy. First-time home buyers, in this generation, have to be a lot more savvy, than previous ones, using all the new digital resources at their disposal to source houses for sale and buy their first home, where we see the growing interest in real estate by owner. 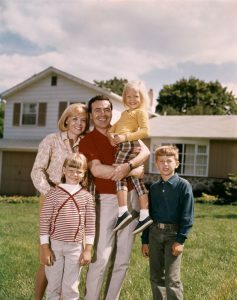 The market madness runs deep as the population continues to swell and land is more scarce. Economist Mathew Garner talks about how housing demand is outpacing supply and the reasons for it. Land is finite, on lake houses and cottage properties for example, where there’s no more room for development and properties rarely come up for sale. It’s amazing to think, on Canada’s Toronto Island, for example, Robin Rix in How to buy a home on Toronto Islands says it could take three decades on a waitlist. Today’s home buyers are faced with nothing for sale within their highly-sought after neighbourhood, and missing out on opportunities to bid as others reacted faster in the mad rush to come out on top. It’s a scramble for a chance to talk privately before a homeowner lists a house for sale, or to find houses for sale by owner and talking privately, without resorting to intrusive methods, such as knocking on doors, that homeowners don’t like very much. Post where and what you’re looking for with your profile, owners contact you privately. I like this simple way as it puts buyers and homeowners in contact directly without agents. Interested in learning more about how to buy or sell a home privately? Check out our most popular post, ‘How to sell my home privately in 2018?‘. 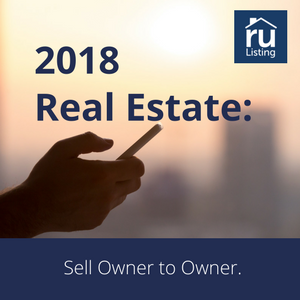 We hope you find valuable and check out RuListing.com where buyers can post their profile for free and homeowners can contact them privately and choose if they want to bring an agent in at the end. Share your home buying experiences – I’d love to hear about them. There's a new way in town...Real Estate by Owner. 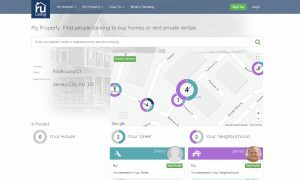 A new way of buying a home privately is being able to contact homeowners in sought-after neighbourhoods online. Where buyers can post what and where they’re looking, then owners can contact them privately. Empowering buyers and homeowners in contact directly, without agents.